In today’s age of social media, people are driven by an urge to instantly connect and interact with people. The culture of immediate sharing and exchange has become a norm in the technology world. 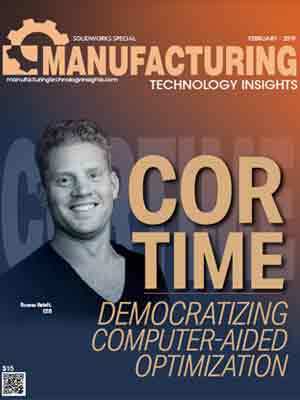 In the same vein, computer-aided design (CAD) connectivity is being increasingly adopted by designers and engineers across the manufacturing industry. SolidWorks solution providers now offer features that facilitate the sharing of design data through peer-to-peer networks and, in turn, lead to a better and more efficient product that fully meets customer expectations. The efficiency and accuracy of designs can be further maximized by SolidWorks solutions that integrate with artificial intelligence (AI) to deliver prescriptive analysis as well as computer-aided optimization (CAO). By automating design exploration and testing based on mathematical models and computer algorithms, CAO automates the rigorous processes of manual optimization and trial and error. The data for these mathematical models is provided by various IoT sensors that providers are now increasingly incorporating into their solutions. SolidWorks solution providers are also laying greater emphasis on enabling designers and engineers to build more precise 3D prototypes for enhanced accuracy, efficiency, and functionality. Designers and engineers must resort to the best of SolidWorks solutions in the market to optimize product designs, improve the overall manufacturing process, and develop a product that best fulfills the customer’s needs. 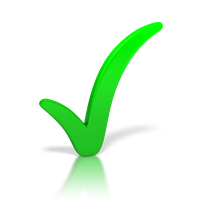 To assist companies with the same, our distinguished panel comprising key decision makers and experts along with Manufacturing Technology Insights’ editorial board has shortlisted some of the most effective SolidWorks solution providers. 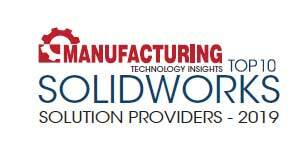 We present to you Manufacturing Technology Insights’ Top 10 SolidWorks Solution Providers - 2019.